There’s not one day I’ve not received a call on the question: How to withdraw money from a PayPal in Ghana. 1. Creating a PayPal Ghana account in any of the PayPal compliant African countries where you can link a card like the UBA Africard for withdrawal. 2. Use Xoom – a PayPal money transfer service as a withdrawal platform. Let your payee send your money through xoom, a PayPal affiliate service. 3. Find someone who needs your PayPal dollars. Send dollars to their account and takes the cedis equivalent here in Ghana. You can watch this video on ways to withdraw PayPal money below! We’ll go into details on how to withdraw money from PayPal in Ghana. This has forced me to thoroughly research, dig and literally hack my way through the last PayPal in Ghana question standing. So, Ghana is still waiting to be PayPal complaint, right? The global PayPal petition and outcry couldn’t help. So let me ask you this question. What is the essence of creating a PayPal account in Ghana, if withdrawing PayPal funds becomes a headache? Nobody wants to go through that stress. People said it wasn’t possible. First, how to create a PayPal account in Ghana? And then, does a PayPal really work in Ghana? Now, How do I withdraw money from a PayPal Ghana account? However, there are several PayPal alternative available for Ghanaians. Let’s dive in. Xoom Corporation – a PayPal service conspicuously stands out as my best PayPal alternative for Ghanaians. And I’ll tell you why. It is by far the easiest way to use PayPal by not using PayPal. I know it’s confusing but you’ll understand me very soon. 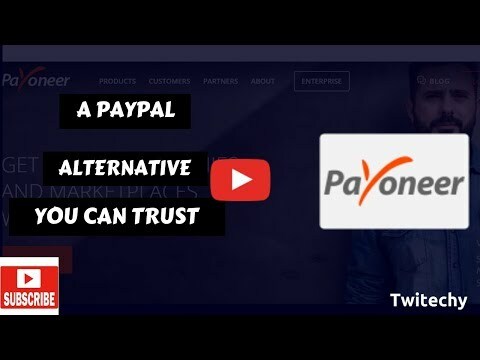 Payoneer is not only a viable choice but it also provides you with a US Bank account that you use elsewhere apart from PayPal . 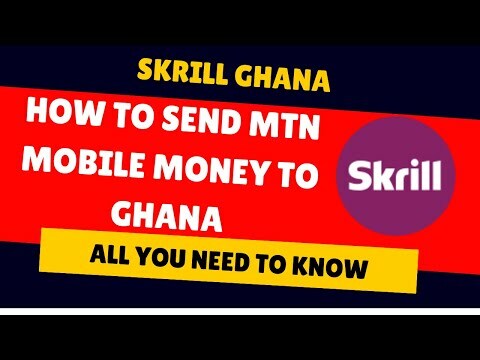 Skrill has been around for quite some time now and standout as another robust candidate for anybody looking to send or receive money from abroad in Ghana. In this beautiful piece i’m going to show you – not one but several ways to withdraw funds from PayPal. So let me give you a brief history on how far we’ve come. The whole journey started when using a PayPal account wasn’t only fit for purpose… but necessary. So i had to find a way to enter that thing! Glory be to God. After several sleepless night, this guide still remains the ultimate guide for anyone looking to open a PayPal account in Ghana. It has helped thousands of Ghanaians over the years and it will keep on doing just that. The videos on there are in twi. But you can find the English version here. In fact, my goal for the guide was not geared towards withdrawing cash from PayPal Ghana. My main goal was to show people how to do legitimate online business with legitimate international detail. But probably the economy by then and the opportunity of earning a few bucks here and there to support oneself was more important. People really needed to make money online. In fact, the ever-popular “make money online” mantra was still trending then. A way to withdraw money from PayPal became necessary, even though how to create a PayPal account in Ghana was the goal. Apparently, I wasn’t enthused about withdrawing cash from PayPal. Mainly because of exchange rate issues, cashout delays and PayPal fees. I prefer to use my linked prepaid or UBA Africard or PayPal balance to buy online instead. ‘Ama Ghana’ was hot and there was a dire need for cash. So this is where the research to discover a better way to withdraw, or cash out your money from PayPal all started. It’s always been with us. So you sent me. And I went. I think I’ve delivered. Under normal circumstances this is how you’ll withdraw your PayPal money from your Personal account as a regular user according to PayPal. Click Withdraw money under “PayPal balance” on the left of the page. Enter your withdrawal amount and select your withdrawal method. Review the details and click Withdraw. Your bank may charge a fee to receive funds from PayPal. Ask your bank about fees for electronic funds transfers. If the bank is unable to process your request due to incomplete or incorrect information in your withdrawal request, the funds will be returned to your PayPal account (a return fee may apply in this case). Once you request a withdrawal, it cannot be cancelled. You’ll will equally do same for a business account and here’s how. Click Transfer money under “Money” on the left of the page. Select the balance you’d to withdraw from and select the bank account you’d like to withdraw to. Enter the amount and click Continue. Review the details and click Transfer. If the bank is unable to process your request due to incomplete or incorrect information in your withdrawal request, the funds will be returned to your PayPal Ghana account (a return fee may apply in this case). Ghana is on the PayPal blacklisted countries list. So this method of withdrawing cash from PayPal doesn’t apply to Ghanaians, right? How do you withdraw, or cash out your money then? Let’s remember we want to answer the question “How to withdraw money from PayPal in Ghana”? So now is the perfect time to dive into the steps and ways of withdrawing PayPal money in Ghana. There may be many, but these are my tried and tested method and ways to receive money from PayPal in Ghana. So PayPal this year upgraded one of its US affiliate which is an international money transfer service to help send users funds abroad. Xoom Corporation, also known as Xoom, a PayPal Service is a electronic funds transfer or remittance provider that allows consumers to send money, pay bills and/or reload mobile phones from anywhere in the world. Xoom, which was only providing services from the United States to about 70 countries is now doing same all over the world. PayPal has now integrated Xoom on its website as a way of sending money through your PayPal Ghana account. Sign up and begin sending money in minutes! Just provide your recipient and payment information and you’ll be well on your way to sending money fast. Xoom claims to be the easiest way to send money abroad. And that doesn’t tickle me in anyway! What excites me is the fact that Ghana is on the Xoom platform. Ghanaians abroad can send money to Ghana through the Xoom service. In other words, Xoom as a PayPal affiliate can replace PayPal or literally be used as an alternative. Don’t worry. I’ll show you why and how. A Xoom Ghana account, either accessed as a standalone service or through the PayPal platform does one thing for Ghanaians. Helps us get money through PayPal. PayPal doesn’t allow you to transfer or send money from your PayPal balance through Xoom but only through the debit, prepaid or credit card linked to your PayPal account. This is the reason why I think Ghanaians should see Xoom as a viable PayPal alternative and in fact the best alternative. Ghana is on ​of PayPal blacklist countries, right? Xoom is a PayPal affiliate, right? Just tell your foreign partners, debtors or payees to send whatever they owe you to Xoom, a PayPal affiliate through PayPal and not directly to your PayPal account. I’ll walk you through the process in this video. If they send it to your PayPal account, you’ll not be able to withdraw it through Xoom. They should just use the PayPal platform to send it through Xoom to a cash pickup point in Ghana. Do you know how RIA transfers work? Xoom works in a similar fashion. In fact, Xoom is partnering with RIA to offer their services through cash pickup points in PayPal blacklisted countries like Ghana. So the first time PayPal sent me an email that it was using Xoom to send money abroad – Xoom could only be used to send prepaid airtime to Ghana. Until around mid-2018 when they partnered with RIA that they rolled out the cash pickup system in Ghana. Without much ado, let me not talk more but show you how Xoom will help our cause. As I said earlier on, my aim was not to withdraw money from PayPal but to buy through the PayPal platform. And I succeeded with that. When it came to the withdrawing cash from PayPal. I was found wanting. 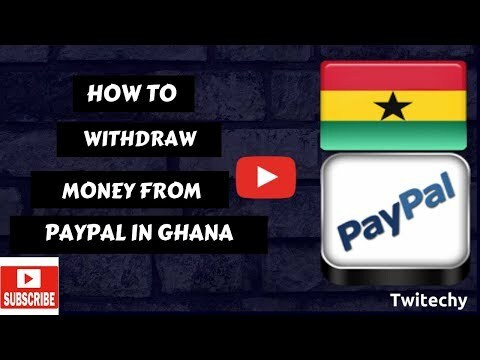 This led me to find a lasting solution to help all those who wish to withdraw, or cash out your money from PayPal in Ghana. And the simplest way I’ve found to be reliable is to create a sub-regional based PayPal account. All I mean is to create an account in an African country which is not one of PayPal blacklist countries. And a number of countries immediately pops up. Well. did I mention that right? Yes did. And you heard that right. Togo and Lesotho are all PayPal compliant but Ghana is not. Absolutely hilarious. Let’s not get into “which country deserves what” debate. In this circumstance, I will go with Lesotho. Why not Nigeria? Well, Nigeria can only send and pay with PayPal but not withdraw cash from PayPal. With a PayPal account in a “PayPal withdrawal-ready” country like Lesotho, you can then withdraw, or cash out your money to a debit card such as UBA’s Africard. And further transfer your money into your Mobile Money account. A service like ExpressPay is great for that. Especially, if you prefer to fund your mobile money account with PayPal . Let me show you how everything works? There are third party services such as COfred, etc.. who claim they can help you receive money from PayPal. How they do it, I cannot really tell. So my go to method or ​way to withdraw money from PayPal was the simple barter trade system. You send me your PayPal dollars and in turn give you its Ghana cedis equivalent. I recommended this method until I found out the first two. However, it is still viable. The only problem is that, it is difficult to find a buyer or someone who needs PayPal dollars. 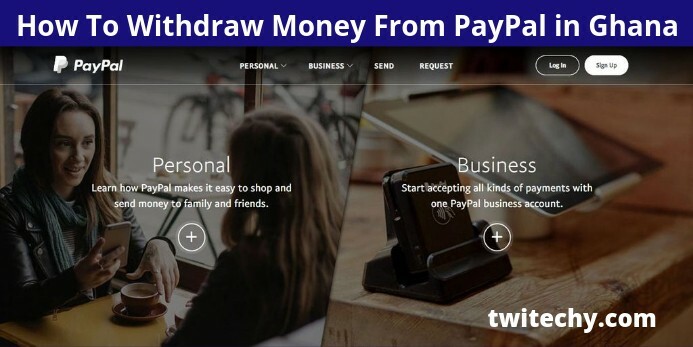 Apart from that, it a quick and easy way to withdraw money from PayPal. 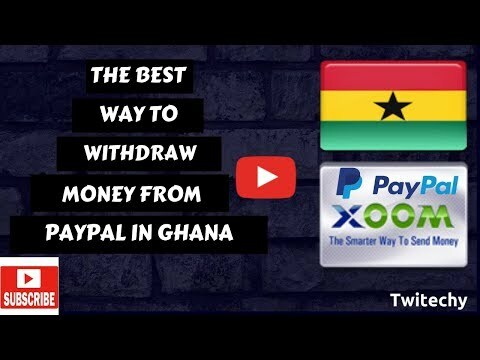 What is your take on how to withdraw money from PayPal in Ghana. Have you withdraw money from your PayPal before? What has been your experience with withdrawing cash from PayPal . A web consultant, coach and digital strategist who teaches small business owners, entrepreneurs and awesome people like YOU how to win with technology whiles focusing on what really matters to your business. All Nelson want is for YOU is to be happy.